Elated French fans burst out of bars and into the streets of Montreal on Sunday, dancing and singing as they celebrated their soccer team's victory over Croatia in the World Cup final. In Toronto, ecstatic fans paraded downtown, cheering and waving French flags. 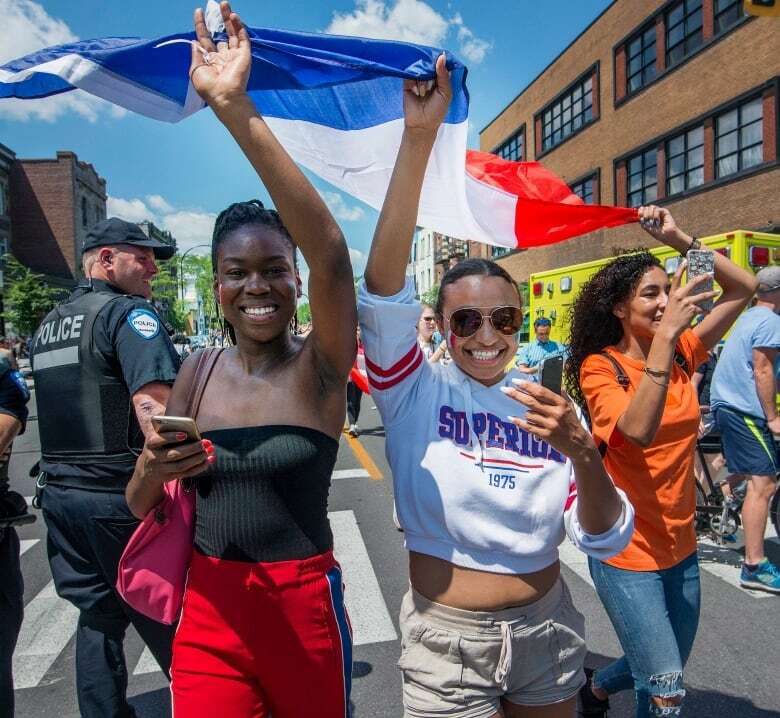 Elated French fans burst out of bars and into the streets of Montreal on Sunday, as a celebration of their soccer team's World Cup victory turned into an joyful dance party. 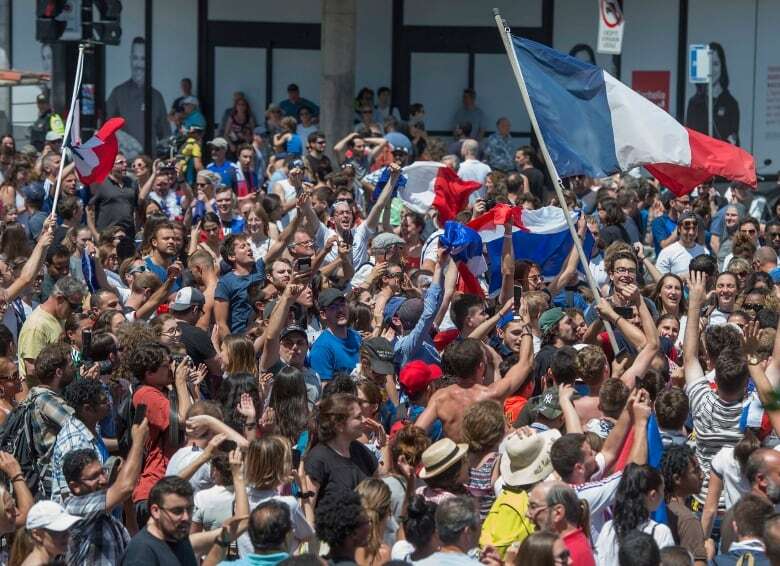 In Toronto, ecstatic France fans paraded downtown waving French flags. 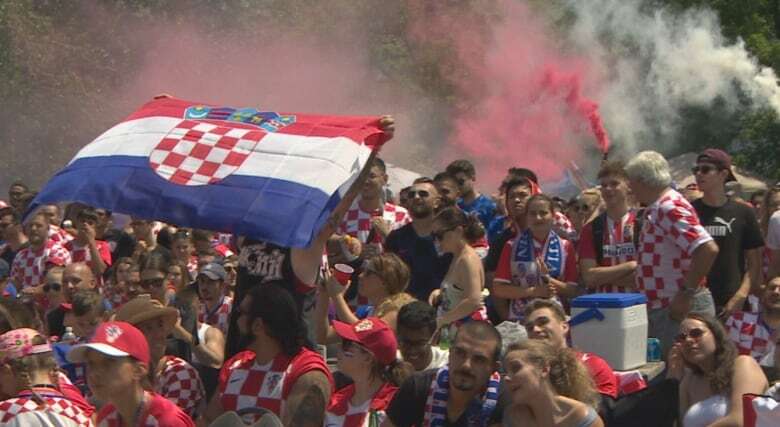 Police moved quickly to close off several blocks of Montreal's St-Laurent Boulevard to cars as hundreds of fans, many draped in French flags and sporting red, white and blue face paint, danced in the streets to celebrate France's 4-2 victory over Croatia. An overturned garbage can was turned into an impromptu drum and a white Volkswagen Golf — doors open and radio blaring — became a boom box, as fans spilled out of bar L'Barouf in the Plateau-Mont Royal neighbourhood, which was draped with a two-storey-tall French flag for the occasion. "We did it!" exclaimed Samuel Florant, in between dances and impromptu renditions of the French anthem, "La Marseillaise." "We were kind of scared because Croatia had a great World Cup, but we did it!" he said. "We are very proud. We love the French, the French team, the French country, the French people — everything is great," said another fan, Chris Boilah. Boilah, who's from the south of France, cited Kylian Mbappé's goal in the 65th minute that put France up 4-1 as the moment when he knew his team would win. "When we have four, it's complete, it's the winning time," he said. 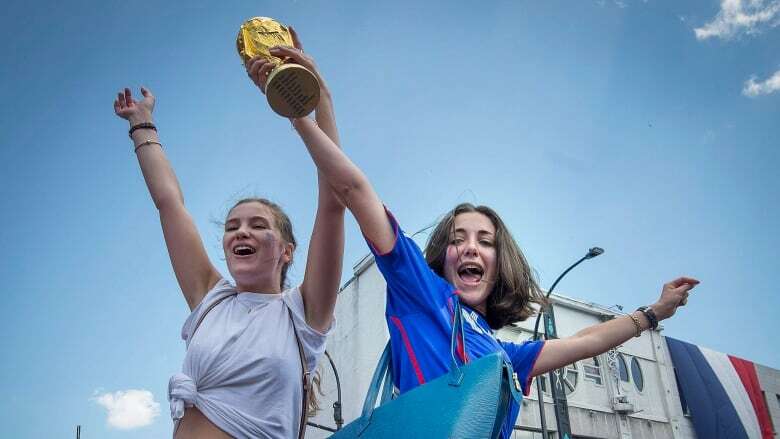 Despite their team's defeat, fans said they were feeling fantastic after their country's first-ever World Cup final appearance. 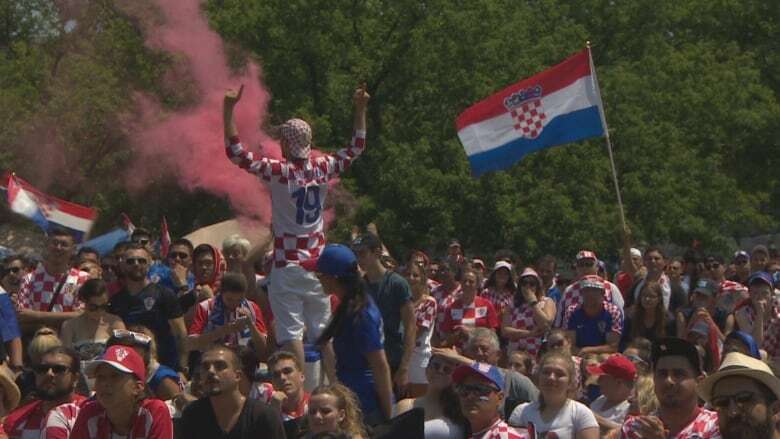 "I've never seen this many Croatians here in my life.... We made the final, nobody expected it for such a small county," said Peter Ganza, who is Croatian-Canadian. "I'm just glad we're here." "We are so happy because this is such a close community. This is such a great win, even though we didn't win at the end," said Ganza's mother Ana, a Croatian poet and teacher. "Thank you for second place. That's a big, big place for us," Joe Kozlovicjosip cheered. "[I'm] super proud of the boys. 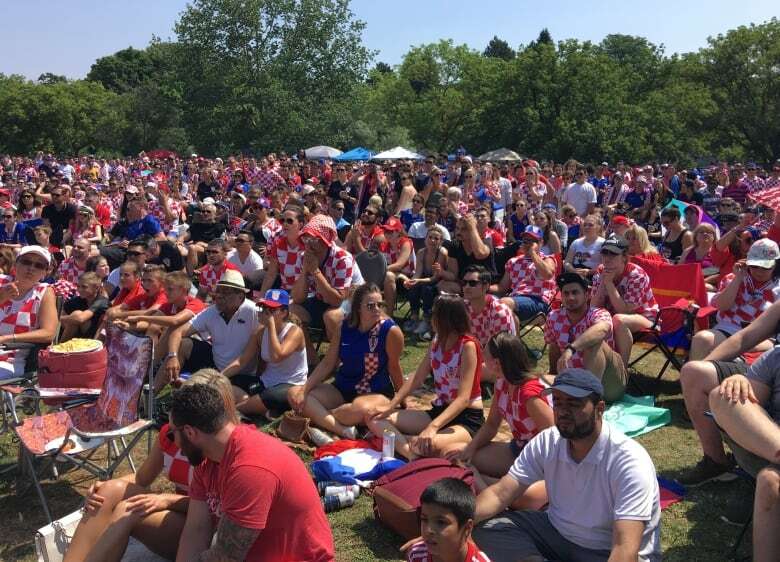 I couldn't ask for anything better," said 19-year-old Dario Jezerinac, who said he and his friends planned to party all day and all night in the park. "Everyone doubted us, but we came to the finals and played our hearts out." Near the end, a fan crowd-surfed above the audience that packed L'Barouf, which exploded with cheers and screams as the final score was announced. 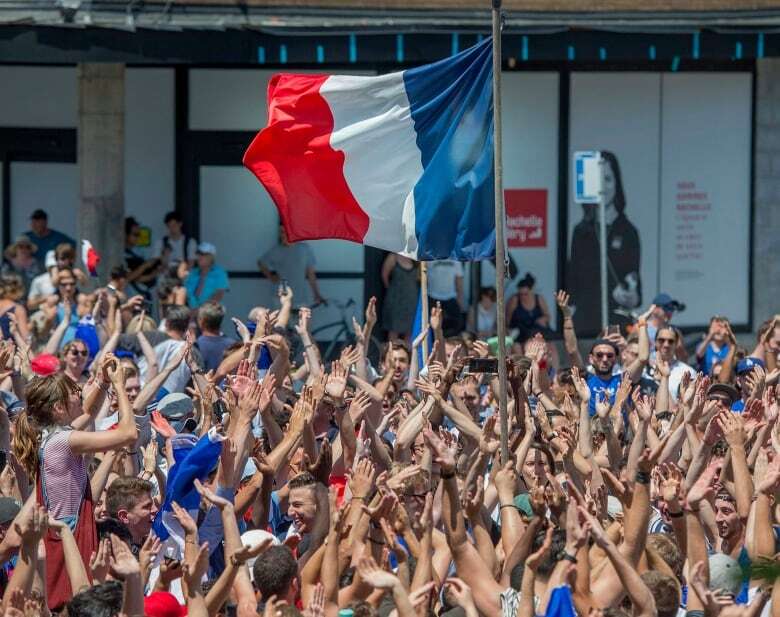 Crammed on the terrace outside the bar, fans waved flags, honked horns and cheered on their team with calls of "Allez Les Bleus" as police tried to keep the elated crowd from spilling onto the street. "It's the ambience, the vivre de joie and everything," he said. Though he's not a French citizen, Gigandet said the event meant something to him as a francophone, as he stood on a corner waving a red, white and blue flag meant to symbolize the unity of French speakers across Canada. "It's our roots," he said.